In the hallway of the house where the Bride was getting ready, I notices a very interesting and beautiful ornate mirror. There was enough space to have the Bride stand in a certain spot and I was able to get her reflection in the mirror. 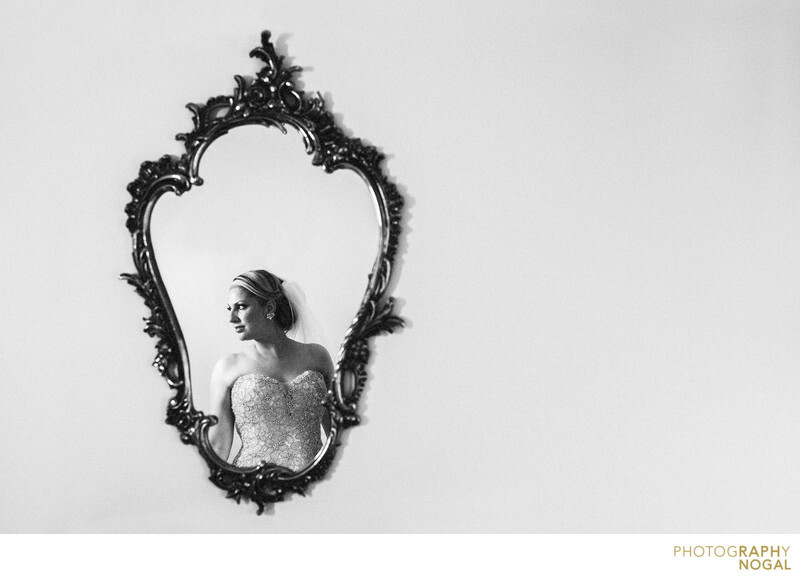 The negative space here really work well and draws the viewer further into the mirror and Bride's reflection.